Let’s say you’re going through your coins and you find one that looks old and rare. Is it worth anything? 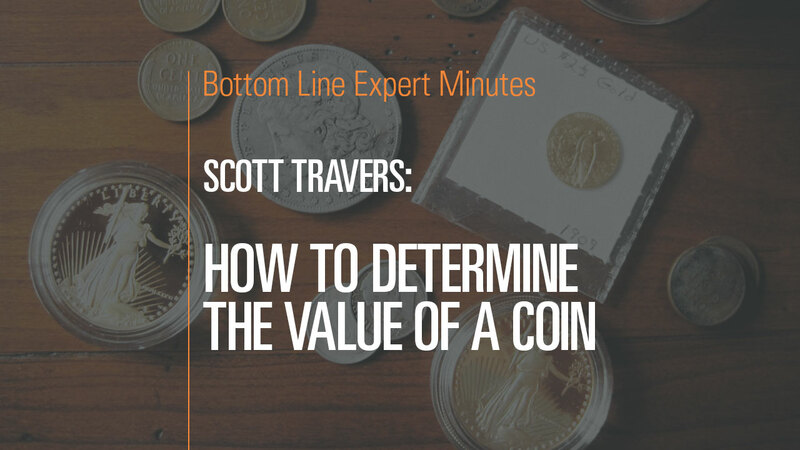 In this video, Scott Travers, gold and rare coin expert and author of The Insider’s Guide to US Coin Values, talks about the ways you can identify your coins. The best bet is to look in a reputable price guide (Mr. Travers lists two price guides that you can consult online) and search for your coin by date, denomination and condition. That will give you a good idea as to the coin’s general value. Then you can take your coin to a reputable dealer for further information or have it graded by one of the certified coin-grading agencies.